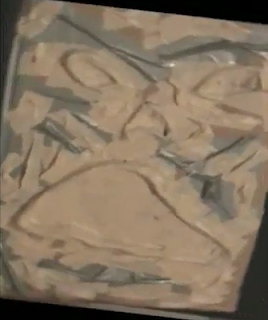 "Today in order to make our own prop Book of the Dead, we're going to stretch a human face over the front of a book. Not really. We'll probably just use duct tape." That's how this awesome how-to video starts and it only gets better from there. 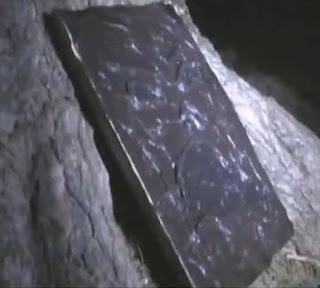 If you need your own Necronomicon prop (I don't need to know why...what you do in the privacy of your own home is none of my business) and you feel comfortable using duct tape and scissors, this video is for you. Below are some screen caps so you can get the idea of the process and the finished product, and also the video itself. The Necronomicon portion of the video starts around 1:20 in and goes to about 5:20. Lovecraft's Necronomicon and the Book of the Dead from Evil Dead are not the same thing. Lovecraft's Necronomicon was however the basis of Evil Dead's "Necronomicon Ex Mortis" (roughly translated 'Book of the Dead').